Since its origin, Mac has been an instrumental tool in helping K-12 schools provide the right resources to students and staff. 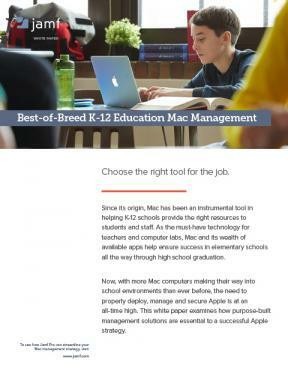 As the must-have technology for teachers and computer labs, Mac and its wealth of available apps help ensure success in elementary schools all the way through high school graduation. Enterprise and higher education versions also available.